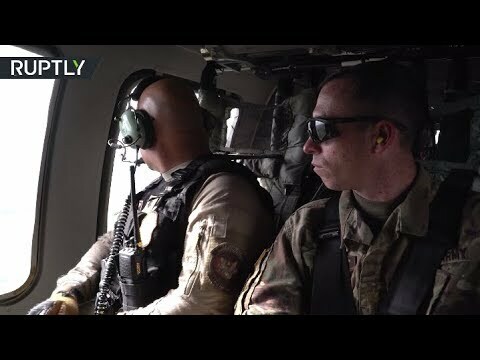 RAW: Black Hawk helicopter patrols US-Mexico border | We Seek the Truth! A UH-60 Black Hawk helicopter patrolled above US-Mexico border points of entry in support of Operation Faithful Patriot, operating near McAllen, Texas, on Saturday, as seen in footage released on Wednesday. The aircraft was operated by the 82nd Combat Aviation Brigade from Ft. Bragg, North Carolina.